Whew, so I'm back after a few week vacation. To keep the updates short and sweet, I flew home to Atlanta for a week to spend some time with my family for the Independence Day weekend and my birthday and now have been back in DC for a little over a week, have settled back to my routine, did a whole scrub down of my apartment, and caught up with all the work and emailed that piled up at the office and personal inboxes since I took off. That sentence was a dozy. Anyways, back to the routine programming; today I wanted to talk about beauty, body acceptance, fat shaming/acceptance, and finding self worth in a "recovered body." I feel like this is an extremely controversial topic and while I don't want to tip-toe around being politically on my own blog, I am going to present my views and arguments in the most respectful way possible. That said, keep in mind that these are just my points of view and it does not invalidate any other person's worth and feelings. I think I've mentioned a few times before that my commute to work is an absolute nightmare. I don't have a car and so between the two buses, rush hour traffic, and walking in between, it usually takes 45 minutes to an hour to travel the five miles between my apartment and office. DC, get yo' public transit game in check! Lately I've been really enjoying listening to Podcasts during the commute: they're lengthy, slightly mindless, and help keep me thinking during those frequent traffic jams. I was listening to the IceCream4PRs Podcast about feminism in fitness when Ilyssa Russ brought up a great quote about beauty's relation to value. In her argument, rather than having all these movements to find "beauty at every size" there should be a greater push towards leaving behind the beauty dichotomy. Now, before I get any further let me disclaim this by saying that yes, I know that it's a lofty approach. We are biologically programmed to look for aesthetically pleasing mates for sexual reproduction; it's a byproduct of evolution. However, I that aside, I find that the status quo approach on self-acceptance focuses much too much rhetoric on evaluating beauty as the end-all-be-all achievement. In short, it puts too much value on beauty as a trait. There is the fat-acceptance, the skinny-acceptance, the "as long as I am healthy" camp, the Megan Trainers who are "all about the base" and how real men "like big booties and [they] cannot lie" taglines and in this constant shuffle between the thin, thick, fit, and willowy camps battling for power we're left in the aftermath of a war where all groups have a similar final goal: for overall improved self-esteems but are all yoked on such a subjective matter. 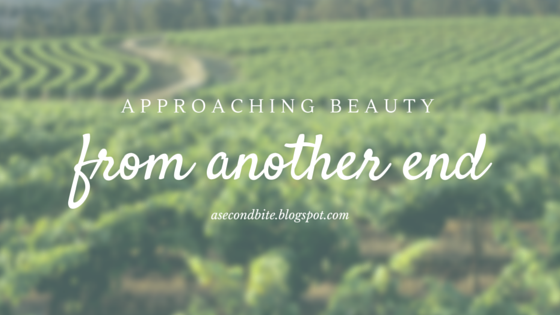 So what if we took beauty off its elevated soapbox? I hear it so often from people in recovery who email me or post on social media: "I struggling to find beauty in my weight-restored body" or "I just feel so ugly and disgusting." But think about it: physical aesthetics is a trait. It's like having blue eyes or dark hair and while it may not be as subjective or black and white as those aforementioned features, aesthetics is just another trait. 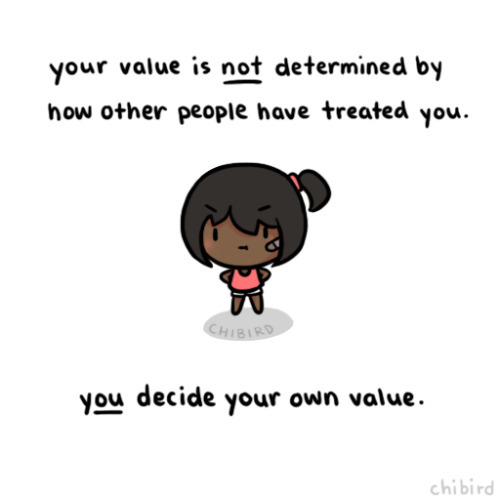 And so many times we value our own self worth based on this little part of a whole. I, for one, am not my looks. I am also not my intelligence, my patience, my culinary skills, or my kindness. I am not entirely a single component of all these parts that combined make up who I am. And while these traits are good things, I am not going to value to devalue myself based solely on a single personality or physical trait. Those traits make up who I am and as a whole make me help contribute to my intrinsic value to society but they do not singularly (positively or negatively) define me as a person.